I’ve gotten several requests to itemize my emergency supplies, so that’s what this post will do. I am what you would call a “preparer.” I like to have supplies on hand in case of emergencies. 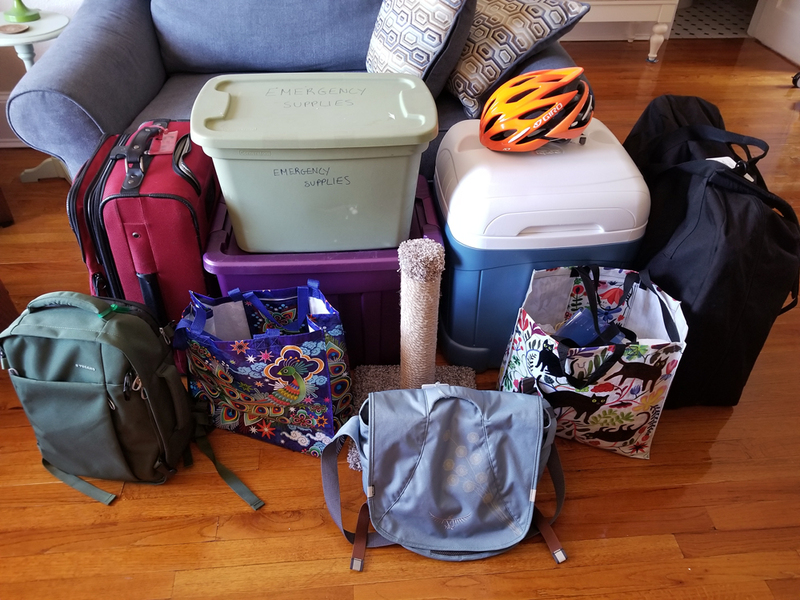 I’m not as extreme as a “prepper”, especially since I have limited space in my 500 square foot apartment to store things, but I’ve managed to put together a comprehensive collection of supplies that has already served me well. Having just gotten home from a 9-day evacuation from Hurricane Irma, I feel even more enlightened about what supplies are important. Please keep in mind that I am preparing supplies for one adult and a cat. Your supply list should vary according to your household. I’ve broken down my supplies by container. Unless otherwise noted, all of these supplies fit in my Honda Fit and were taken with me during my evacuation. The above photo does not include my cat carrier that took up the front passenger seat, the litter box that took up the front passenger seat floor, a large bag of personal items, an extra box of litter, a plastic container of cat food and an extra backpack that I’m leaving behind next time. Keep in mind that I accumulated these supplies over time. Obviously, you can find similar items in different brands for different prices. I always go for the highest quality item so it lasts a long time. If there’s no link included, then it’s something I already owned and did not specifically buy for emergencies. 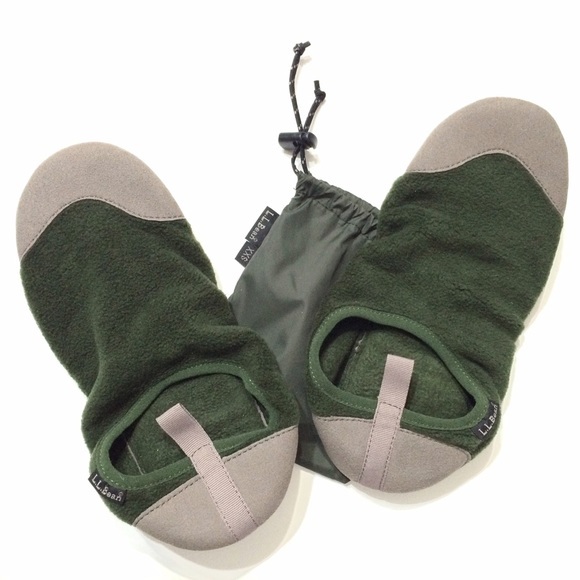 Travel slippers – LL Bean – Alas, they don’t seem to make these anymore. Click here to see what they were. I also put in non-refrigerated food to save space in the car. I’d like just one shopping bag full of food other than this cooler. This Igloo cooler ($70) is a good capacity and fits in my car nicely. Next time I think I need more ice, though. I was given a great suggestion to print off a list for each container and keep the list in the container, if possible, so I can check it at the beginning of the season and before any evacuation to be sure everything is in the container. So, again, it’s taken me about 10 years to accumulate all of these items. I feel this was money well spent as it makes me feel secure. If possible, I don’t want local resources to have to be spent rescuing or taking care of me in an emergency. Since I am able to be prepared, I choose to be. Many of these supplies will last my whole life, so I consider them an investment in my well-being and a service to my community.